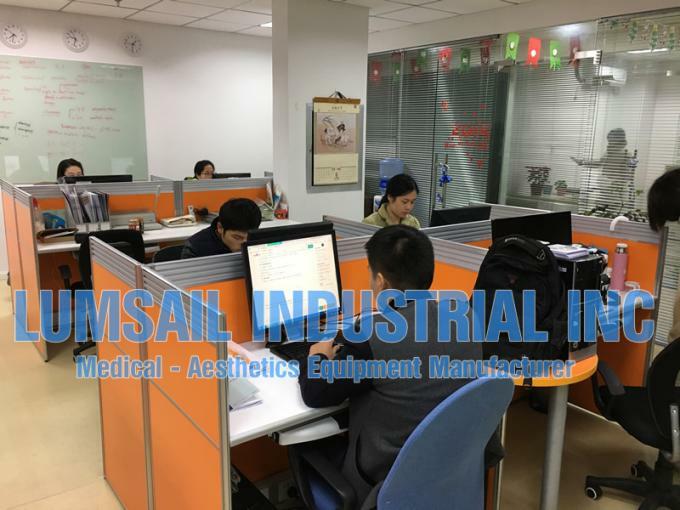 Founded in 2007 by several rich experienced engineers, as fully invested company for science and technology in Shanghai, China, has been devoted in the field of medical equipment and aesthetics equipment for nearly 10 years. 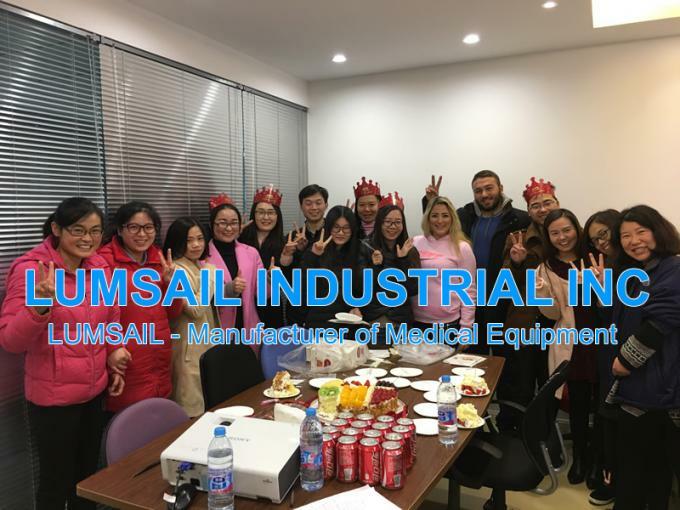 In the past ten years, Lumsail grows with its sincere customers in China, as well as in many other countries, as United States, Australia, Canada, Germany, etc. Now Lumsail has owned workshop which strictly follows ISO13485 standard, and its own research & development team, technical support team and sales team. 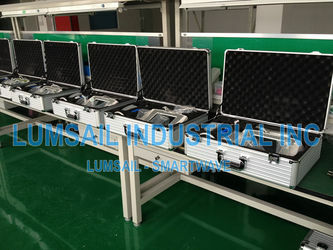 As leading manufacturer, LUMSAIL carries out its own brands as LUMSAIL (R), SINCERY (R), SMARTWAVE (R), HAIRGROW (R) and more. More than 20 patents round new design and innovation ideas of medical and aesthetics equipments, 2 projects are awarded as Top-10 Winners of Innovation Models by China Government in 2016. 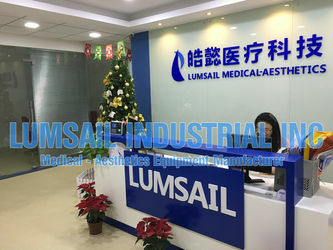 Lumsail Medical And Beauty Equipment Co., Ltd locates at Zhenru Science Park, where the largest medical and medicine center for Shanghai city at nearby, with mature upstreams for high quality components for professional medical equipment manufacturering. 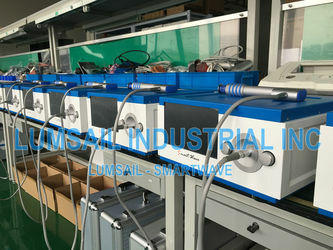 Now Lumsail has developed a full series of ballistic shock wave therapy equipment, from mobile type to full-standing high energy models, and other products for plastic surgical fields. By attending multiple world-class exhibitions in past decade, Lumsail has showed our products to thousands of customers all over the world. 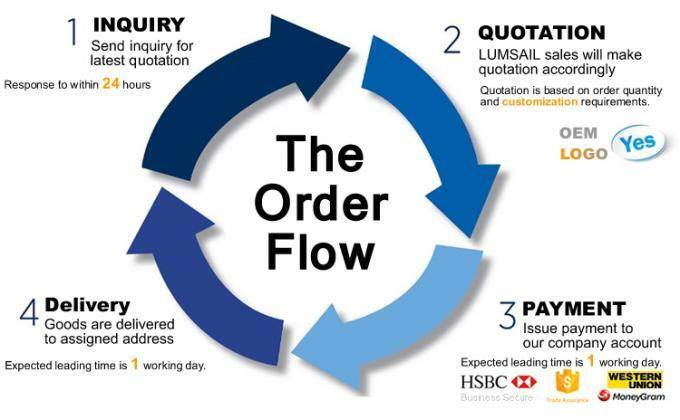 Lumsail has been adhering to the "quality first, customer first, pragmatic and pioneering,refine on" business philosophy, to provide high-quality, reasonable-cost products and first-class service to customers, rapid and harmonious development, sincerely cooperate with you, to join hands in creating a better tomorrow. Most products are CE approved, FCC approved for USA market, and part products are FDA cleared for USA market. The whole working flow is inspected by TUV from Germany to ensure our products quality, and meet the standard defined by most popular markets in European market. 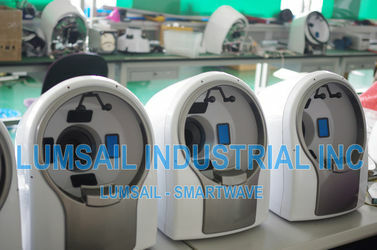 Founded in 2007, investigated from Hongkong, LUMSAIL mainly focused on international market. The initial products includes laser / ipl based aesthetics equipments, then expanding to related domains, for facial skin treatment equipment, body reshaping equipment, and now facial skin analysis equipment. In 2010, new workshop was set up for manufacturing medical equipment, according to the trend of aesthetics equipment in most popular market, and new segment involved to provide physical therapy equipment, as well as for beauty purpose. The first shock wave therapy equipment was delivered to our first customer in Europe in 2011, and now we have setup full product line for ballistic shock wave therapy equipment, and the most popular model BS-SWT2X is the 3rd generation, much improved since it was developed in 2011. 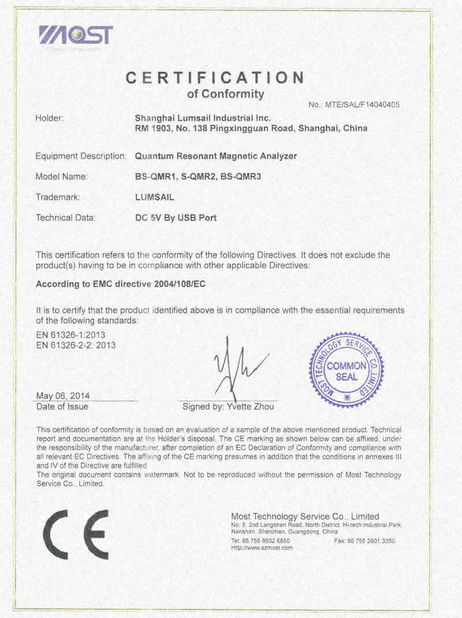 In 2012, we invited famous Chinese laboratory to start to test our product, to conform CE standard which is widely required by European market, and most main stream products have achieved CE certificate, and FCC certificate in following 1 to2 years. 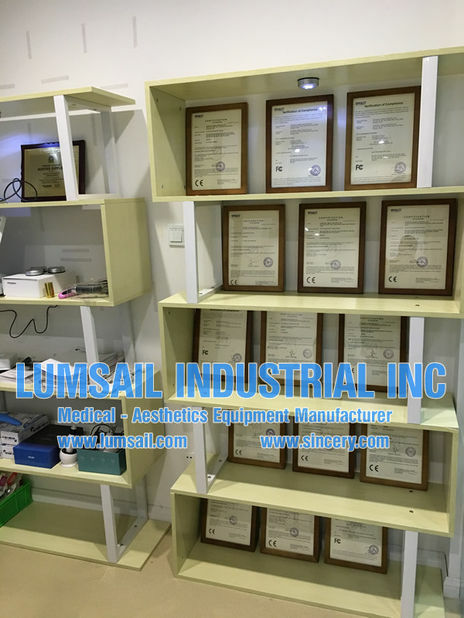 In 2014, LUMSAIL is acknoledged by FDA from USA, as certificated manufacturer for medical equipment. 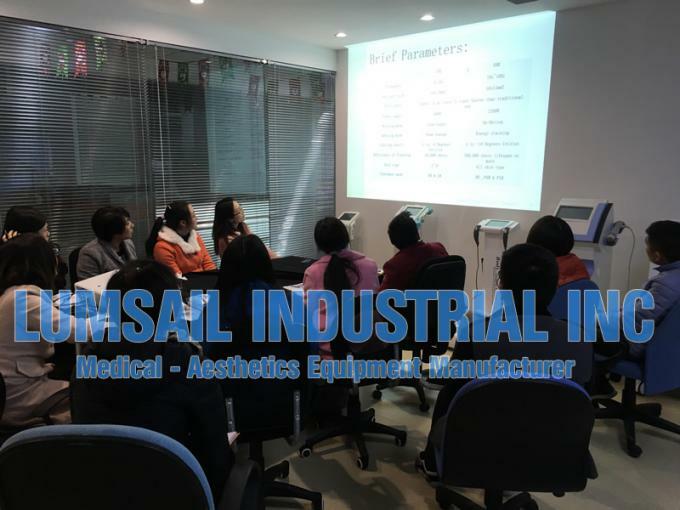 From 2013, LUMSAIL started to expand market from Chinese domestic market to oversea market, with high standard product and service, at reasonable price. We are keen to provide our products to help more client benefited by the updated technology for health. In 2014, LUMSAIL started to show up in different exhibitions all over the world. Arab Health 2017 is the most popular medical exhibition in middle east Asia area. The Largest Medical Trade Fair In The Biggest Medical Device Marketplace, covering both North America and South America. The most professional aesthetics and medical show in Middle East Asia. The most professional aesthetics and medical show in USA, also North America. The famous aesthetics and medical show in Australia. A lot of famous brands as Zeltiq, Alma, Syneron also shows up. 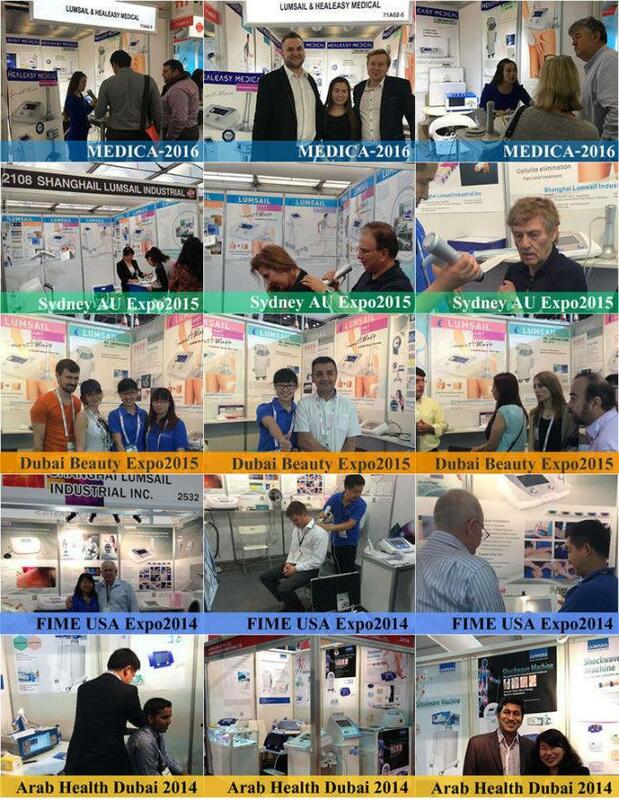 CMEF has become the largest fair of medical equipment, related products and services in the Asia-Pacific region. We welcome your visit to our booth at Shanghai pavilion. The world's leading trade fair for the medical industry invites you to Düsseldorf from 14 - 17 November 2016. Welcome to MEDICA. Welcome your visit to our booth during 14 Nov, 2016 to 17th Nov, 2017 in Düsseldorf, Germany. Welcome your visit to our booth during 30 Jan, 2017 to 2nd Feb, 2017 in Dubai. 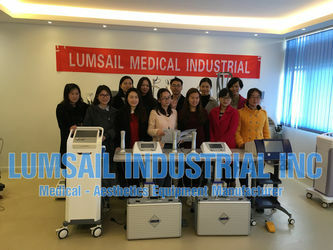 LUMSAIL deliver high quality medical equipment and aesthetics machine in reasonable price. 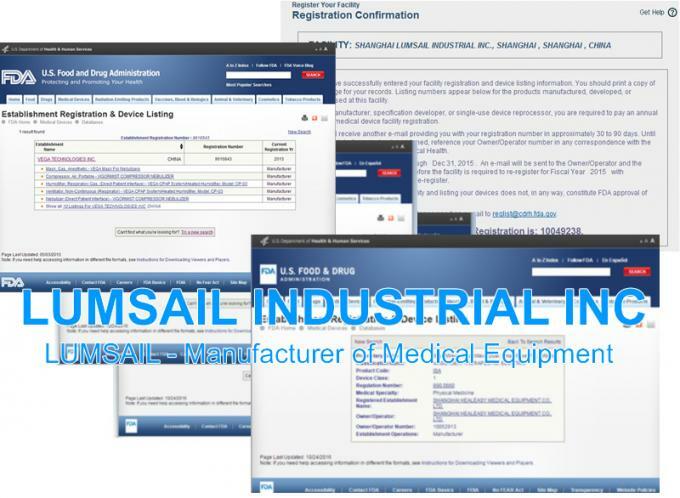 Lumsail has it's own multiple brands, trademarks and patents, covering both appearance, software copyright and hardware design. We are seeking competent distributors all over the world to expand the market, deliverying our products to more people. A. We provide 12 months full warranty (consumption excluded). Response time is 12 hours by Chinese or English speaking engineer. B. We provide technical training for direct users also distributors, based on certain condition. Please contact with our sales team for more. The training is conducted by experienced engineer or operator to share the experience of installation, general usages, usages according to targeted treatment purpose and also trouble-shootings. C. For most of our proudcts, we supports 5 years sustaining service, thus components will be available even after 60 months when you bought the product. D. For distributors, we provide technical support service to help them to register our products in their regions/countries according to their local policy. 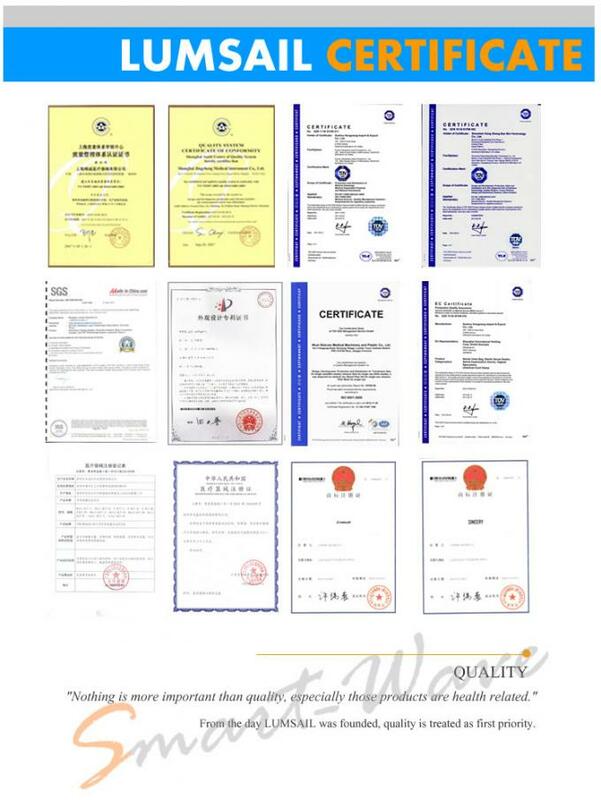 We have successfully helped more than 10 of our distributors to register FDA, KFDA and also other certificates in their areas, so as to expand their market greatly. LUMSAIL Industrial Inc. has a solid group, utilizing their specific strength, working on different rols. The research and development team, good at software and hardware design, owns experience in medical and aesthetics equipment architecture design and implementation, OEM/ODM case analysis and carry out the solution to customers; the quality control team is good at check and verify the production procedure at every key point, to ensure every unit product is under management and follows ISO standard strictly; the after-sales team, communicate between customers and our company, delivering installation guide, maintenance training, issue-fixings; professional sales team, take the role to deliver our product to our every sincere customer; logistics team, work for goods packing and dispatching.